Whenever I think about the holiday season I think of family and friends. Joyful celebrations sprinkled with solitary moments of reflection and remembrance. The sparkle of lights blinking in the snow and the squeals of happiness from the kiddos on Christmas morning. Whenever I think about the holiday season planning is not even remotely anywhere near the forefront of my brain. But making time for holiday planning is a crucial step in helping to eliminate a good chunk of the stress that tends to crop up around this season. 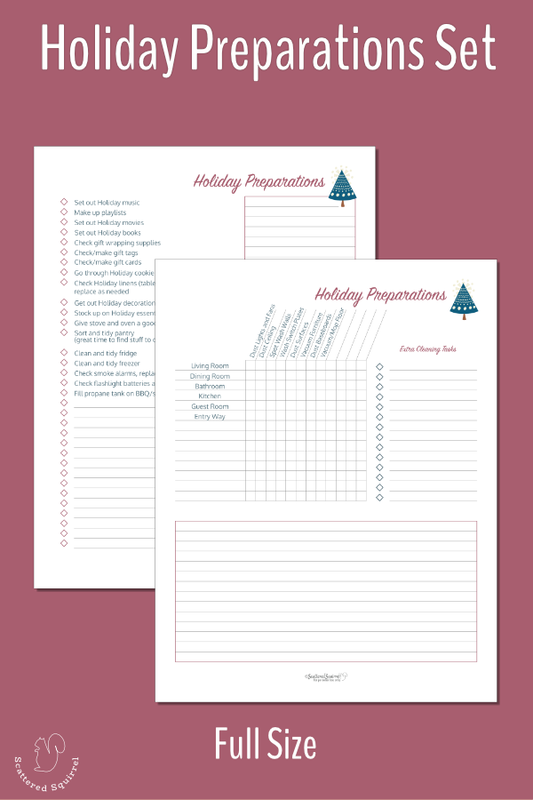 The first step in holiday planning is to figure out your holiday preparations to-do list. Exactly one year ago today we officially moved into our new home. My parents and Travis spent the day unloading the truck and helping me unpack the essentials. I wasn’t thinking about the holidays on that day, but it was only a few days later when thoughts of the upcoming holiday season started popping up into my head. As I sat surrounded by boxes still waiting to be unpacked, with my foot propped up on a pillow, I was hit with an overwhelming sense of defeat. The holiday season wasn’t even here and all I could see was all the things that had to happen before I could even think about enjoying the holidays. 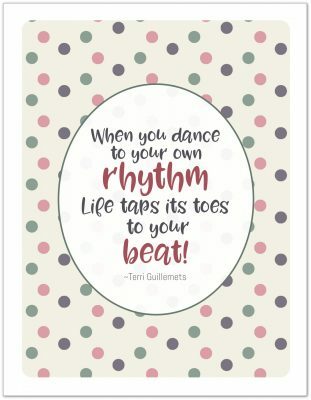 So, I did what I almost always do when overwhelm hits – I wallowed for a little while. Yep, you read that right. I WALLOWED. Sometimes we need to really feel an emotion before we can move past it. We need to live with it for a little bit to understand it. What I learned from my wallowing was that the biggest concern pulling me down was my own expectations. It was only after acknowledging the issue that I sat down and made up a list of everything I needed to do before the holiday season hit. My list last year looked a lot different from my list this year, but the idea is still valid. Taking the time to figure out what we need to do to be prepared for the holidays takes the pressure off. We no longer have to actively think of all those things. They’re down on paper and hopefully planned out. All we have to do is follow the plan and check the items off as we go. 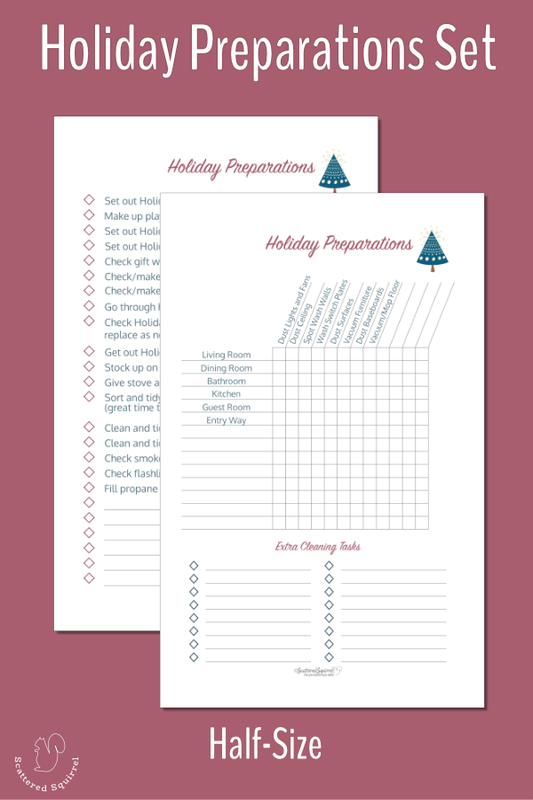 I put together a checklist that I use every year to help me get ready for the holidays. It has all the necessities on it, from buying gift wrap to cleaning the oven. It even includes a few items that I added from past experiences, like making sure your flashlights all work and that you have a full propane tank (or bag of charcoal) for your barbecue or campstove. It sounds strange, but when I was little there was a power outage on Christmas Day. Come dinner time the power was still out. My Dad ended up making us soup on our camp stove for Christmas dinner. I have very fond memories of that Christmas dinner. Something similar happened to us a few years ago on Christmas Eve. We lost half the power to our house. Of course the oven was on the half that went out. I was in the middle of baking a ham. Thankfully my husband was able to fire up the barbecue to finish cooking it, and we were able to get the power fixed later on that night. Now I plan for power outages on Christmas. The second checklist in the set is my cleaning checklist. When it comes to holiday planning, some extra cleaning is always one of the first things I plan for. I focus on what I call public rooms. The rooms that company will spend time in. I also try to keep the extra cleaning tasks to the bare minimum. I don’t want to spend the month before the holidays start cleaning. And I know there are other tasks that will be mixed in with the cleaning, I try to keep it as light as I can. I did make sure to leave room for you to add to it if you’d like. The next step in my holiday planning is taking my items from my edited holiday task list and moving them onto to-do lists for November and December. These list are very general and basic. Just things I need to do, projects or crafts I want to work on, events I’m hosting or going to, shopping list, and a space for things I’d like to do, but only if I have the time to do them. Once I have everything written on my to-do list, I sit down with my checklists and a monthly calendar and start scheduling things in. Everything from cleaning tasks to time for projects or crafts. This is just round one of my holiday planning, so I try to make sure I spread everything out in a way that doesn’t overload my schedule. I keep my holiday plans separate from my normal monthly planning, because it’s easier for me to do it this way. But if you’d rather plan on your normal monthly calendar, please do whichever works best for you. Today’s assignment is really simple. Take some time to check out the printables and start working on your holiday planning. What items do you need to do to prepare for the upcoming holiday season? 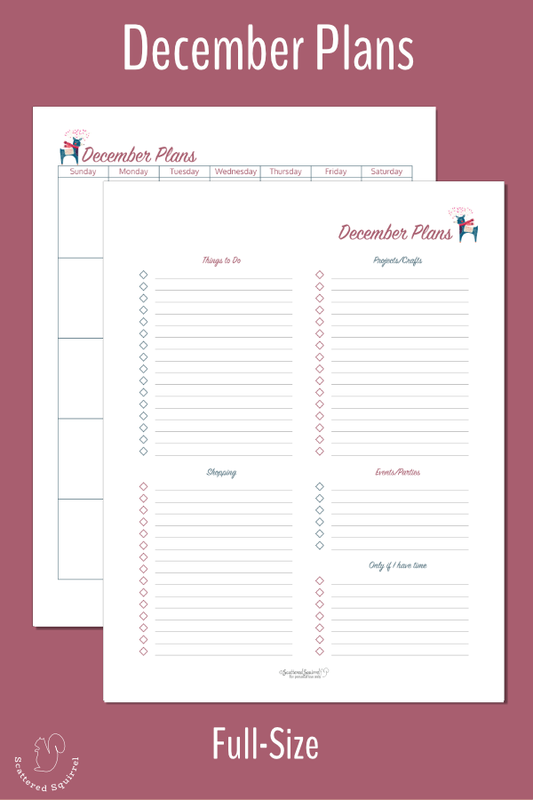 Grab out your edited holiday task list, and start scheduling some of those tasks into the months of November and December. Making a plan now will not only help you feel more prepared for the holidays, but it will help reduce some of the stress of the season. We’re going to be adding to our plans over the next few days. Some planning steps might not apply to everyone, but I hope that you will take what you need from this series to help create your own stress free holiday season. Feel free to hop over to the Facebook group and chat with everyone there. I’d love to hear what things everyone is up to when it comes to preparing for the holidays? Do you have any humorous holiday mishaps to share?